Transformation by any other name? The world of IT is often a tribal one where people frequently have strongly held views which they love to outline on competing technologies, product vendors, service providers and anything else you care to mention. There are some subjects which can always be relied upon to spark the euphemistic “free and frank exchange of views”. So it was no surprise recently when I found myself in a group of CIOs with decades of experience (and the associated scars!) that the topic of IT transformation proved somewhat provocative. The discussion started with the usual tussle over defining the term and distinguishing a technology upgrade/deployment from a business change enabled by technology programme. The group reassuringly quickly reached agreement that the term implied an undue focus on technology. The group preference was for the term “IT enabled business transformation”. There was also rapid agreement on the key characteristics conveyed by that term. These included the delivery of material business benefits gained by a tightly managed and closely measured technology enabled process change which is implemented with a clear focus on the people change requirements. However, the debate restarted when it was suggested that the term “digital transformation” was a far better label. The discussion also covered the term “two speed IT function” used by some analysts or “bimodal IT” as coined by Gartner to recognise the digital age facets. All agreed that the digital age was driving a far higher focus on people within technology deployments, both in terms of the expectations created by consumerisation of IT services and the technical competence of the people consuming them. I quite like the concept of “bimodal IT” as I do think it helps describe the duality corporate IT functions now face, namely the incessant demand for innovation at speed balanced against need to ensure appropriate data security and integrity. We certainly must retain the disciplines of a well-defined, managed and executed business transformation enabled by technology painfully learned over many decades! However, we do need to find risk managed ways to combine those virtues with that of rapid development, deployment and evolution of products and services. The mantra of “measure carefully and if you are going to fail, fail early” is a good one in my view. The importance of ensuring that the delivery remains current, valuable and aligned to requirements is not new. However, what is new is the speed at which these programmes are now expected to deliver and so the imperative of ensuring relevance becomes more key. That said if you leverage the right communication tools it is possible to address that requirement by harnessing the power of the population your delivery is to serve. Doing so requires a high level of agility in every aspect of the transformation programme not to mention in its senior management sponsors. It has always been tempting for people to label IT initiatives as transformational. Arguably the inherent characteristics of what is truly an IT transformation programme have not changed over the years. However, it seems very clear that some of those characteristics have evolved and gained importance in the digital age. The people engagement imperative has become unavoidable and truly central in every sense. This collaboration expectation combines with the relentlessly increasing pace at which delivery is demanded to create a new sense of excitement. Successfully delivering an IT enabled business transformation programme has never been easy and we continue to improve our ability to get them right. I think using the term digital transformation is helpful. I much prefer it to IT transformation and it is less cumbersome than the more wordy IT enabled business transformation. 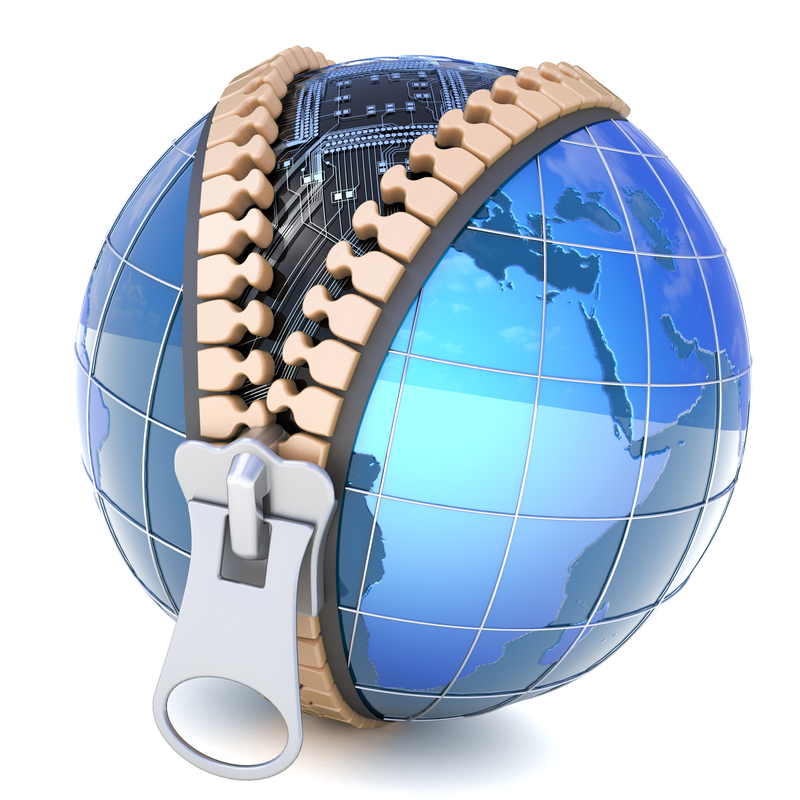 I think the word digital encapsulates business, information and technology. It recognises for me that it is increasingly hard to distinguish between the “business” and the “IT” in the digital age. This post was previously published on the Business Value Exchange. Is 2015 the year in which the much discussed Internet of Things (IoT) is becoming mainstream? I was prompted to muse on this question by watching a friend remotely check and then reset the temperature of his home via their smartphone from our restaurant table. Also that same evening saw me extolling the benefits of my health wearable device and demonstrating how to review my statistics via an app on my smartphone. This is certainly different from the initial smart sensors on goods and within warehouses that help track stock levels and triggered replenishment orders. My first encounter with IoT was in the smart meter space in the energy sector. This is where meters enhanced with sensors are deployed to enable the providers to remotely monitor energy usage real-time and use that feedback to optimise their delivery model. Indeed defining the term IoT can be problematic. I like this definition from a McKinsey article, that it is “the networking of physical objects through the use of embedded sensors, actuators, and other devices that can collect or transmit information about the objects. The data amassed from these devices can then be analysed to optimize products, services, and operations”. In 2011 when IoT first hit my radar I remember many articles from analysts predicting that by 2020 the market for connected devices would have reached somewhere between 50 billion and 100 billion units. Generally analysts today seem to be talking about a reduced but still material 20 billion or 30 billion units by that date. To enable that scale to be reached we need to look beyond the “Things” and indeed even the connectivity aspect. Ultimately the old mantra of “it is all about the data” is at the heart of the key ingredients required. It is not just about getting the data to a store in the cloud. It is about doing so in a way that reflects the information privacy and security dimension within a framework of enabling technology standards. I don’t think we will realise the promise if we end up with an IoT that is more the “Internet of Proprietary Things”. Many see a darker side to the IoT vision. 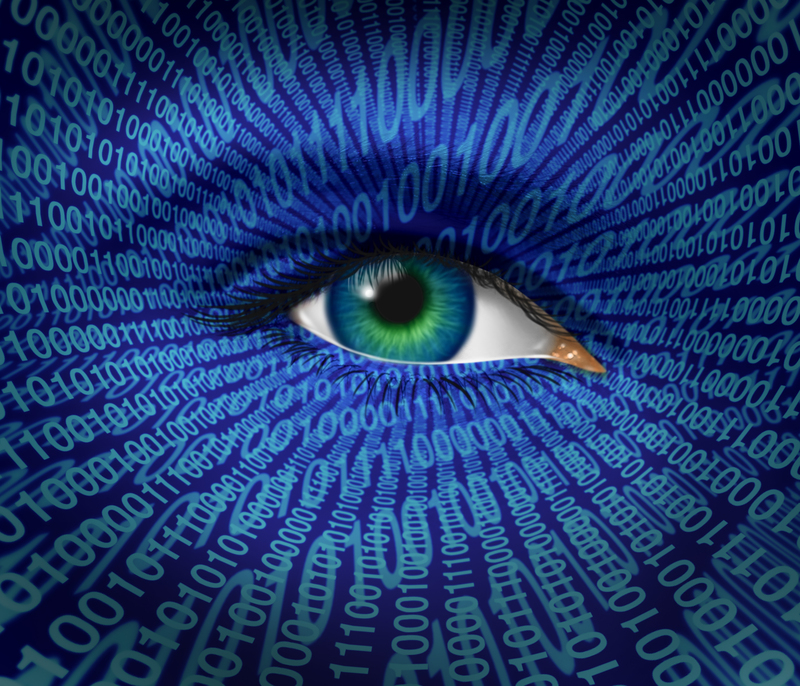 They see a world where you are constantly tracked, monitored and the data about you monetised without your permission on a massive scale. Indeed some go as far as seeing the IoT as enabling a far more effective and efficient surveillance by the state, yet with the added twist that we seem to be volunteering to have it. The threat seen is that we end up being monitoring by every device in our lives from our cars, to our household white goods, to a massive range of smartphone or wearable type apps and to the more understood spend trail we leave with credit and debit cards. This set of data points will then be correlated, analysed and without the relevant protections on privacy sold on to businesses without you being explicitly aware and agreeing. There are a number of articles around that counter this point by making a link from IoT in this regard to social media. I think the point they miss in doing so is that social media is for those that are suitably wary about presenting a curated view of yourself. As the world becomes ever more digitized and people tracked by a growing myriad of devices it will almost certainly leave fewer and fewer opportunities to decide not to participate. It’s one thing to curate the view of yourself that is broadcast on social media. It would seem to me to be quite another to see how much curated content will exist in the world IoT might create. I think it is vital that the IoT promise is achieved by having an appropriate model of regulation to ensure privacy remains an option. This blog post was previous published on the Business Value Exchange. As always December is a good month to find opinions being shared on what 2015 will bring in terms of technology trends. My good intentions are always to commit my thoughts to writing early in the month. Typically each year I fail to act and reach the middle of January before sitting down to write. This year I aim to break the trend! However, my other firm resolve to get the Christmas cards into the post early has once again proved fruitless. I think 2014 was the year in which the “drive to a digital world” really gathered pace and became all pervasive. How that digital content is being consumed is key and many analysts are arguing that more time is being spent consuming data via mobile applications than via the web. A good articulation of this argument has been made by Benedict Evans in his post entitled “Mobile Is Eating The World”. It seems that the drive to a digital world and mobile devices are completely intertwined. It is clear that success in 2015 in virtually all business spheres will depend on how adeptly companies continue to adapt their business model and offerings to the digital world. The expectation that services can be consumed at the total convenience of the customer is now deeply embedded, certainly in the societies of the G20 countries and arguably globally. That “anytime, anyplace, anywhere” mantra (yes I am old enough to remember the famous Martini advert!) is conditioned I think by the importance of brand recognition, context and trust. It seems to me that people are becoming slowly more aware of the risks of the digital world, particularly the ability to trust content and to rely on privacy for data and identity. A Forrester analyst Heidi Shey recently blogged that “Today, about a third of security decision-makers in North America and Europe view privacy as a competitive differentiator. Forrester expects to see half of enterprises share this sentiment by the end of 2015”. The detail of the research is behind the Forrester pay-wall but the summary is worth a read. Clearly to enable the hyper-connected digital world we will need to see the underlying infrastructure continue to evolve at an ever increasing pace. I think the argument that the digital world is made real through an ever growing population of devices and sensors combining to enable contextual data consumption is right. A very persuasive summary of this argument was given by Satya Nadella back in March 2014 early in his tenure at Microsoft in his “Mobile first, Cloud first” strategy messaging. The Internet of Things (IoT) concept will become ever more real and valuable in 2015. It will require underlying cloud based services to enable the collection, collation and presentation back in a value adding form and context. The rapid proliferation of wearables technology is just one visible sign of the devices landscape that will enable the digital world and realise the IoT promise. The sheer number of mobile phones (often quoted as being over 7 billion now in use) with the “there is an app for that” assumption is bringing the connected digital world into the consumer mainstream ever more quickly. We are all now expecting that the different data units required to enable a transaction or consumer experience to take place will be seamlessly collated and enacted. The initial “wow that is clever” reaction to data being combined to enable something that was once slow and painful to execute will increasingly be replaced by impatience and frustration if it is not so. I tried to explain to someone the other day how hard it used to be to renew car road tax as opposed to the online seamless checking of the various key components required for validation delivered by the DVLA website. I felt ancient! So in short I see 2015 as the year where the IoT concept becomes visible to the mainstream. It will be the year where the difference between a strong digitisation strategy and an average one will translate to material competitive advantage. It will be the year where brands that demonstrate the quality of their content and deliver a superb customer experience combined with an appropriate contextualised respect for data and identity privacy will win. All very exciting might be your reaction, but what does that mean for those of us in the technology sector then? Post was also published on the Business Value Exchange. Who Are The Visionaries Of Transformation? “So what is the right team to mobilise to deliver a technology enabled business transformation then?” This was a question posed in an email I received shortly after my last contribution to the BVEX site. Just to be irritating I answered the question with a question of my own; “thanks for reading and posing the question but could you not use the comment feature on the site?!”. A critical part of the answer lies within the wording of the question, specifically “business transformation”. My starting point on mobilising any transformation initiative is to understand how the business will engage, how actively and to confirm that it has a clear view on the benefits to be obtained and how they will be measured. Once I have those parameters defined then I can start to look at the skills balance the team needs to have to be successful. As we will all appreciate the enabling technology must be deployed effectively to provide a solid base before we can then drive the required organisational and/or individual behavioural changes to use it. However, I am extremely wary of having transformation programme leads that are fans of technology or even worse fanatics. My best results have been achieved when the programme lead views the technology as simply a tool and maintains a dispassionate perspective, much like most of us would regard the choice of different types of pen. They just need to understand the technology to a sufficient level to be able to lead those in the team for whom that is their specialist skill. My primary focus for the transformation lead is to find someone able to communicate the vision underlying the intent and make the business change meaningful to those delivering, engaging or being impacted. Once you catch the imagination of people with the vision then they will commit and provide the persistence that is often needed to achieve success as there are always, repeat always, bumps in the road with any programme with a significant technological dimension. Personalising the transformation and visibly living the values set is critical and in terms of business engagement, if you can have your CEO provide that role model then you have materially de-risked your programme. You want to build a cadre of committed individuals driving towards the desired outcomes and impact on the business. A key success factor that enables that peer group pressure is well defined measurement; tracking the right metrics both in terms of the delivery of the programme but also in terms of the business benefits derived as you embed the business change. Clearly there will be people that need a deal of persuasion within your programme team and the wider business. 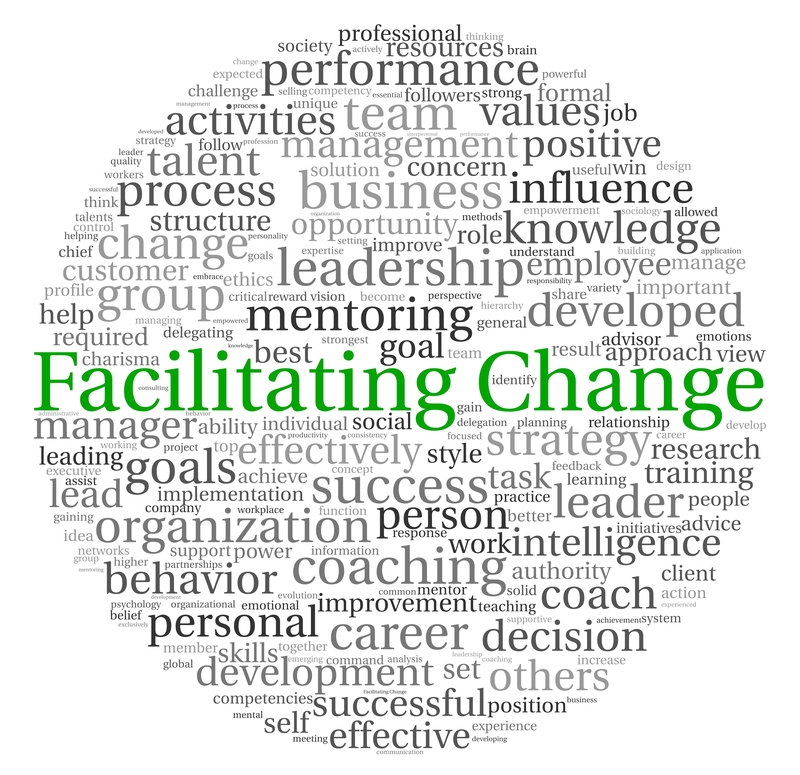 It is vital to have a strong focus on the organisational change key enablers as well as having strategies to handle the resisters, including those that are hidden or passive. I recently found an excellent exploration of this area by McKinsey entitled “Tapping The Power Of Hidden Influencers” which is well worth a read. My key argument is that you absolutely need to mobilise a team that can deliver the enabling technology to scope, budget, deadline and quality. However, to derive the business benefits from that enabling technology you need more than “just” those qualities, you need a team equipped to drive the organisation and behavioural change skills by moving engagement into commitment and then into enactment. The tendency of technology enabled business transformation programmes to fail to deliver the business benefits, even when they succeed in delivering the technology dimension, highlights the multifaceted team that success requires. Even if you do mobilise the optimal multi skilled team you must have answered an even more fundamental question, are the leaders within that business environment are committed to the change and ready to lead from the front as compelling role models? So in short even before start thinking about the optimal skills mix and mobilise the team make sure you have verified that those commissioning the transformation understand clearly what the journey will entail and are able to holistically articulate the destination. This article was first posted on the Business Value Exchange. A recent interim role opportunity advert listed among the required skills “extensive mergers and acquisition (M&A) experience” but on further discussion the need really seemed to be focused on systems integration. Clearly the ability to plan a sensible integration of two or more corporate IT landscapes into a strategic coherent whole is critical in a M&A context, including re-conforming previous decisions on delivery models still meet the needs of the organisation. However, there is equally value, potentially more value, to be gained from engaging the CIO prior to the deal being struck rather than simply to handle the consequences. If the acquisition is not a technology company it can be very easy to ignore hidden value or costs within its IT assets, a relatively trite example being that buying a company today with only Microsoft XP deployed on very aged computers will very quickly present a potentially material investment cost. In a previous role I was taken along to a newly acquired company in Germany by my regional CEO on the Monday morning we took possession. The employees joining the company were there bright and early in the very smart office but there was no IT kit on any desk as the detail of the deal had failed to actually acquire those assets; hard to believe but a true story. It was this incident that made it very easy for me to insist on the IT team being engaged with any acquisition deal right from the start and being part of the final buy decision review process. If anyone is needing convincing of the criticality of IT and its leader on successful M&A then point them at this excellent McKinsey article from 2011, Understanding the strategic value of IT in M&A. If M&A is all about finding synergies then the McKinsey statistic in this article that over 50% of those synergies tend to relate to IT probably wins any debate on why CIOs should be actively engaged from the twinkle in the eye stage through to the fully integrated with no seams showing outcome. This argument holds true if you are part of the divesting team equally and a compelling articulation of the strength of the corporate technology and how it is designed to enable rapid and low cost integration could well help close the deal. I do struggle to understand why the CIO role in M&A is open to question but at a recent industry event I found a number of CIOs that were feeling excluded from the decision process and very concerned at the potential consequences that they would inherit and have to resolve. The common pitfall it seemed to me listening to the debate was to express the imperative in technology terms rather than using business language and describing the concerns in terms of business outcomes that would be thwarted as well as the clear attention grabber of how much money getting the IT assessment and integration plan wrong could require. I’m not sure it can really be that simple, but then again perhaps it might just be that straightforward? Many thanks to all those that took the time to read my ramblings in 2013! WordPress.com prepared a 2013 annual report for my blog which I thought might be fun to share. A San Francisco cable car holds 60 people. This blog was viewed about 1,400 times in 2013. If it were a cable car, it would take about 23 trips to carry that many people. A few weekends ago I was skimming through some articles around the concept of “Shadow IT”, ie the IT solutions deployed within an organisation without the sanction of the CIO. 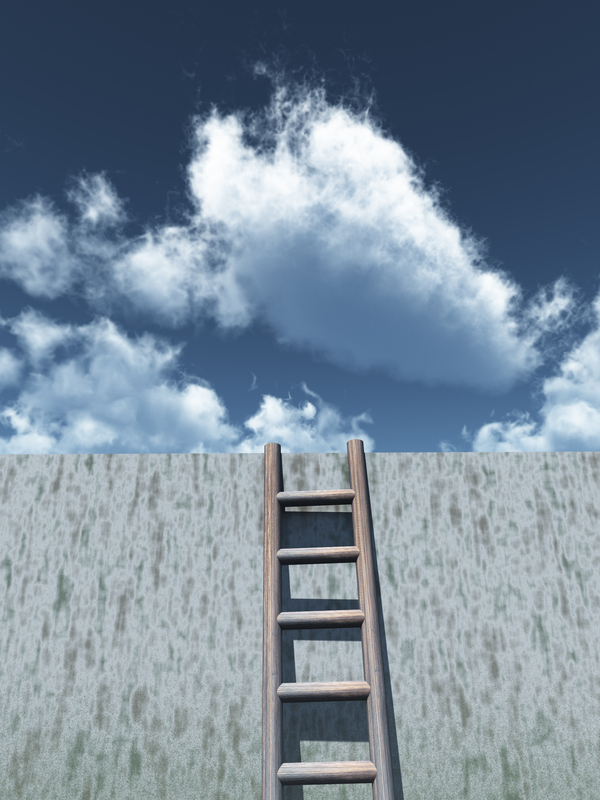 A quote jumped out at me in one article discussing why employees might chose to use public cloud services in a corporate context, Professor Nelson Philips of Imperial College Business School said it was an example of “positive deviance” as people were genuinely just seeking to overcome obstacles preventing their success. I really liked that term as in my experience there has always been a positive intent behind the deployments of “credit card funded IT “, usually from frustration at being unable to progress through official channels. Now as a career CIO I am not about to fall into the gamekeeper turned poacher trap and argue that this is always fine and appropriate. I have enough scars from well intended but not entirely understood leaps into the solution that appeared so “quick, easy and risk free” to forget that there are often sound reasons for the IT function’s apparent unwillingness to act. However, I do accept that there are times when the oh so enticing cloud service can be a highly effect rapid means to solving a business requirement. The critical questions around data security, process integrity and integration requirements have to be asked but they should not always be used as a great reason to say “no”. One tactic that I have found effective is to enable people to intelligently self-assess the viability of a given cloud based solution. We created a simple “viability qualification” questionnaire tool through which we articulated the key questions that make clear the integration and risk implications of a given cloud service; all offered under the guise of self empowerment. We built up the use of the tool by responding quickly to requests which were based on it. Over a relatively short period of time we found people self-filtering material volumes of tempting solutions they might have otherwise have championed. I will not claim it solved all the challenges but it certainly removed a deal of the potential conflict points. It seems to me that being operationally excellent just gives the CIO a seat at the decision table. To use that seat to manage the IT lurking in the shadows the CIO must prove that they can, and are seen to be able to, enable the business to succeed at the pace set by the competition. I believe that they need to enable their colleagues to be positive deviant in a context where the company is assured that it understands the risk to true cost to value gained equation. So why the lack of posts? Somewhat belatedly I thought it would be a good idea to explain why I have not posted to this blog for many months. Since June 2012 I have been “distracted” with bladder cancer and the removal of a tumour on my pancreas. The good news is that the pancreatic tumour (IPMN type for those with medical knowledge) was found to be pre-malignant and my bladder cancer is currently in remission. The operation to remove the pancreatic tumour along with part of my pancreas, my spleen and my gall bladder was quite a “big” one. I am recovering my fitness and mobility slowly but surely and am on track for a return to the workplace in January 2013. So depending on your point of view the good new or the bad news is that I intend to restart posting to my blog in December. I’m not sure how many readers I have left after such a long period of silence but to all that might be out there, thank you. D For Device? Or Data? Or Both?